New research suggests singing together was the original way our hunter-gatherer ancestors forged bonds with strangers. 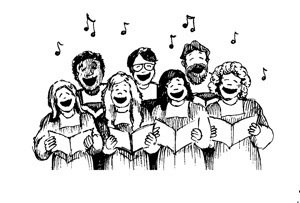 Research has found that singing in groups releases endorphins and helps people form bonds with each other quickly. In fact, it was even one of the ways our hunter-gatherer ancestors made connections among each other. Check out this interesting article on the subject!